Nobody likes getting trapped in the corner. 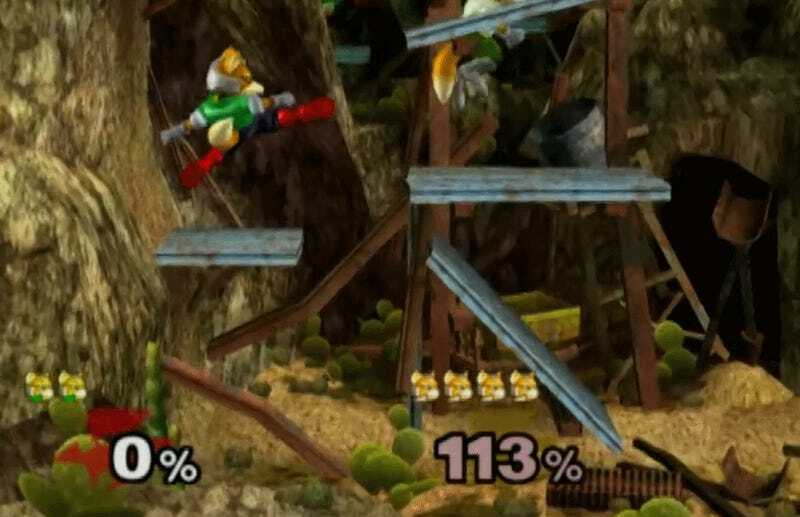 The Pokémon Stadium level had moved into its sheer rock wall phase when Justin “Plup” McGrath decided to knock off another one of David “R2DLiu” Liu’s lives without breaking a sweat. Nobody wants to meet one of the best Melee players around (Plup finished fifth at Evo) so early in pools and R2DLiu had already lost the first match to one of the top Fox mains in the world. But Plup made a particularly brutal run at the mid-tier Delaware native halfway through the second. Already with a two stock lead over R2DLiu, Plup ran into the corner absolutely demolished his opponent despite a more than 100% difference in damage. First he throws R2DLiu up to the platform directly above before landing a light kick and using Fox’s deflector special to electrocute him back down below where he could further brutalize him. Plup is expected to make it all the way to top 8 in DreamHack Atlanta’s Melee tournament and from the above display you can see why. Even respectable players like R2DLiu can end up looking useless when caught in one of his especially vicious combos. And with Evo 2017's champion, Adam “Armada” Lindgren not in attendance, it’s possible we could be seeing Pulp face either a Hungrybox or Mew2King in the finals. Smash Bros. Melee top 8 will start streaming on Sunday at 1:00PM EDT here.